OLBI invites teachers of French as a Second Language (core French, extended French, intensive French and French immersion) from elementary and secondary levels from Canada and abroad to take part in its 10th edition of the Summer University Program. From July 10th to July 21st, participants will join in workshops on best teaching practices and meet colleagues and members of professional associations. Exchanges between teachers from various provinces can be particularly beneficial to teachers who are the only FLS teacher in their school. The Ministry of Education of Ontario offers bursaries for this program. The registration deadline is July 1, 2017. 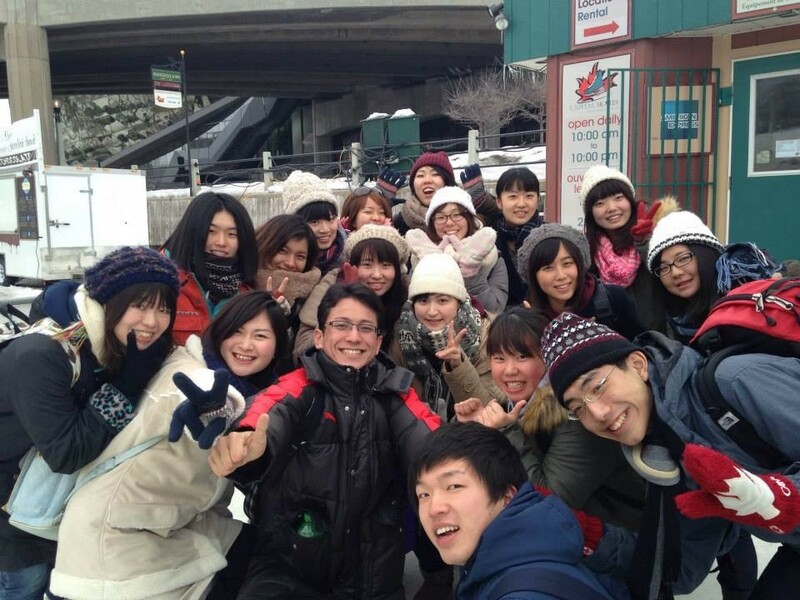 Second Language Intensive Programs (SLIP) is pleased to welcome students from the University of Niigata Prefecture for a 5-week intensive language program during the months of February and March. The students will receive 21 hours of English language training per week and will be given the opportunity to join EIP outings to explore Canadian culture and make new friends. They will also get to experience a real Canadian winter. OLBI was happy to welcome Philippe Neyt, Françoise Stas and Emmanuelle Rassart fromt the Université catholique de Louvain during their visit TO the University of Ottawa from January 23rd to January 27th. During their stay, our visitors met many professors and employees from OLBI. Their visit also included FLS course observations as well as a discussion on immersion research. 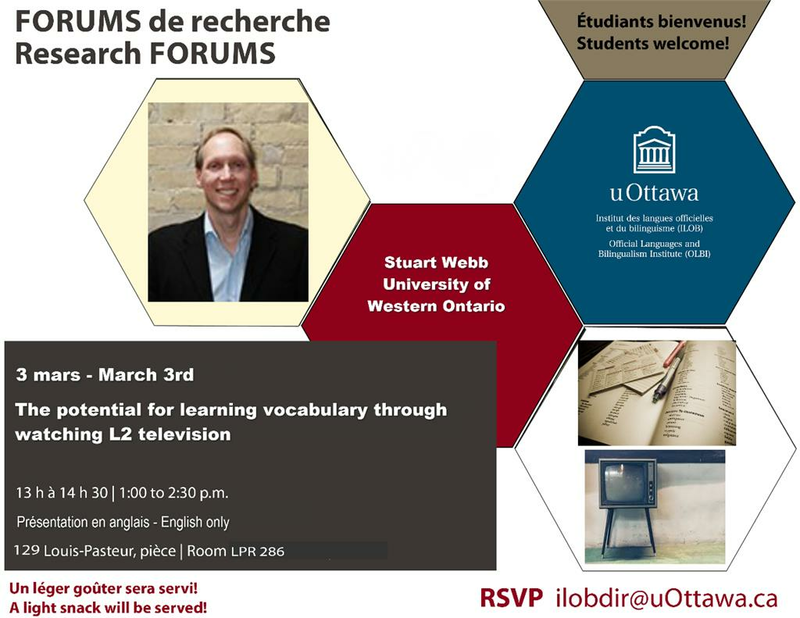 CCERBAL is proud to present its next forum: The potential for learning vocabulary through watching L2 television. The presentation will be offered by Stuart Webb (University of Western Ontario). This event will take place on March 3 from 1:00 to 2:30 pm at 129 Louis-Pasteur, room 286. The talk will be held in English only. Register now at ilobdir@uOttawa.ca. Come with colleagues and students! If you can't join us, follow us on the web: https://connect.uottawa.ca/ilob/. 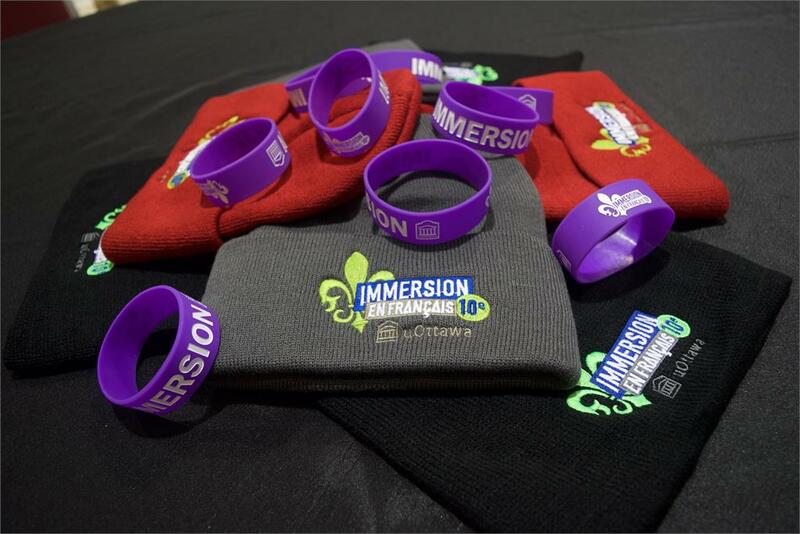 Registration for the Post-Secondary Immersion Symposium will open in early March. Register now to take advantage of the preferential prices until March 31st. For more information, visit the symposium website. OLBI invites students in grades 11 and 12 from the Catholic District School Board of Eastern Ontario, the Ottawa-Carleton District School Board and the Ottawa Catholic School Board to take part in the Concours de français langue seconde (CFL2). This contest will be held on April 10, 2017 on the University of Ottawa campus. Its four components are based on the Ontario FLS Curriculum. There are many prizes to win. Registration is free. For more information, visit the CFL2’s website(www.cfl2ottawacarleton.ca) (in French only). This year, the French Immersion Studies celebrates its 10 anniversary. It was created to make the most of the University of Ottawa’s bilingualism and to give the opportunity to francophile students to perfect their language skills within their field of specialization. In the eyes of French Immersion Studies Director, Marc Gobeil, it is because of students’ courage and high levels of motivation as well as the academic and administrative staff’s dedication that the french immersion is so successful. Longue vie à l’immersion en français!